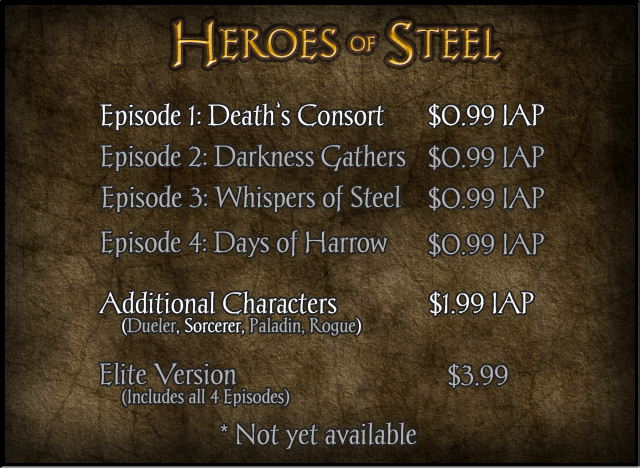 This week we have released Heroes of Steel RPG to the Android markets. You can download and play it for free on Google Play and Amazon App Store. For anyone with an iOS device, don't worry -- it is in review with Apple and as soon as their team releases it we will make sure you know! Heroes of Steel is our first game that we will release in an episodic fashion. 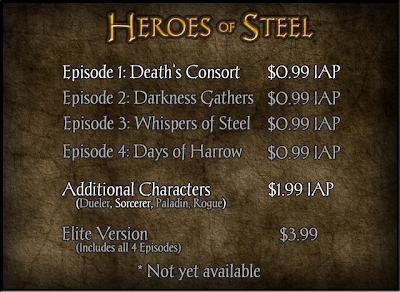 The first release of Heroes of Steel includes Episode 1: Death's Consort for $0.99. Each of the additional Episodes 2-4 will become available as they are finished at $0.99. We are excited to look forward to a Heroes of Steel Elite release in 2014. Once we have released enough episodes, we will bundle them into a single paid game, Elite, for $3.99. In the mean time, try out the new optional characters which will bring major variety to your time in the world of Steel for $1.99! All IAPs are permanent additions to the game. Any group of heroes you create can play through any Episode purchased, and an additional character can be added to any new group created. Enjoy! *taps foot patiently for App store* Can't wait to play! 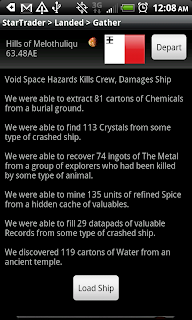 Until then more Star Traders! Keep up the great work! when can we expect episode 2? I really enjoyed ep1!